Wow we have so many great wineries in Texas, and summer is a great time to sample and experiment with some great taste and refreshing drinks. At Star of Texas Bed and Breakfast we do our First Sunday Yoga practice and everyone brings a covered dish to share a meal and great fellowship. 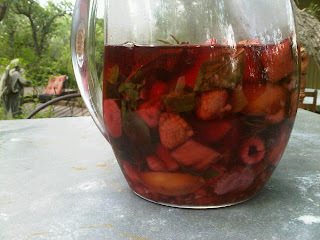 This Sunday, Sara brought a pitcher of home made Sangria that was so wonderful. You can add any wine you like with lots of fresh fruits. She also add some Basil and Rosemary and to make it especially fruity, she steamed the fruits for a bit to open up the sweet flavors to infuse to the wine. You can add a blush or rose or white or red, it’s just what you like in wine and then any fruit you like. Peaches, oranges, berries all make a great Sangria. So for the summer visit a favorite Texas winery and make up a wonderful Sangria to share with friends on a summer evening. 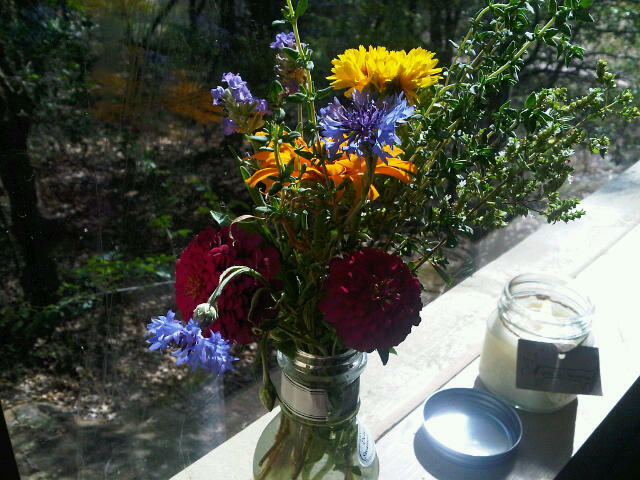 Oh and don’t forget those beautiful flowers from your garden to brighten the table.enjoy!